Gender representation in the governance of the nation has remained radically bias. From 1999 till 2018, the percentage of women occupying positions of authority has fluctuated between 5% to 10%. The female community still remains vastly unrepresented in both executive and legislative positions. Statistics show that a woman has never been elected president or vice president in Nigeria. No woman has been elected governor of a state. 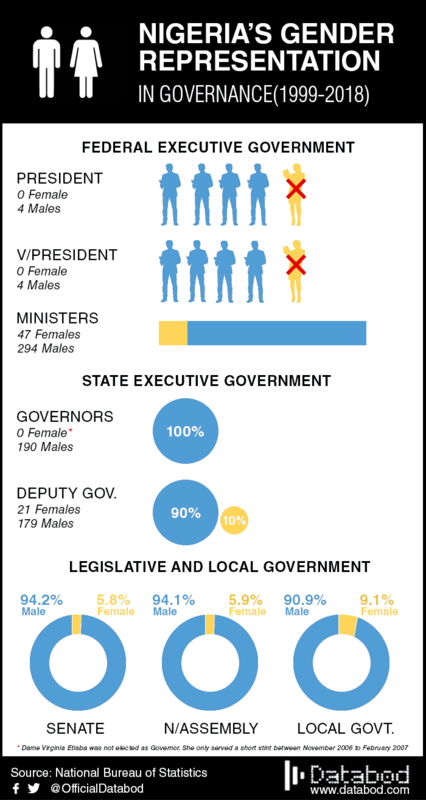 Only five females were appointed deputy governors in any state within almost a decade. 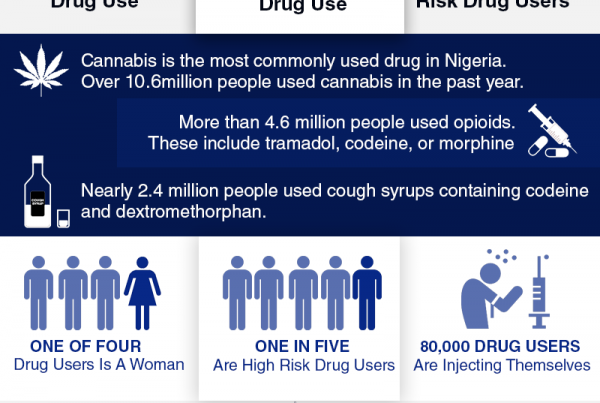 The infographics below gives more details on federal, state, local government and legislative records.